Targetwall consists of a big, colourful fabric sheet, held on a freestanding metal frame. 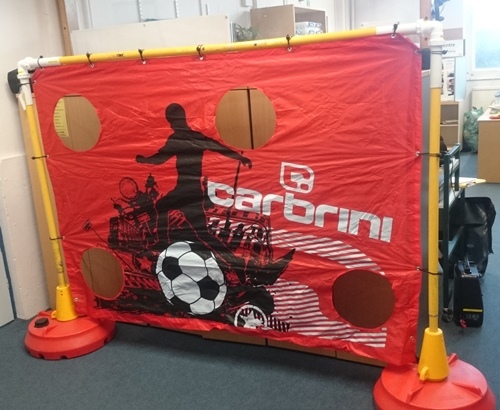 Players kick footballs or throw beanbags through holes in the sheet to score points marked on a backdrop hanging behind. Frame collapses for transport.